We may be identifying yet another digital literacy skill: an ability to function simultaneously within a variety of timeframes we don’t normally consider while we’re learning. Before we take the leap into a bit of virtual time travel to pursue this idea, let’s ground ourselves within a familiar idea: much of the formal learning with which we’re familiar takes place within clearly-defined segments of time, e.g., an hour-long workshop or webinar, or a course that extends over a day, week, month, or semester. We work synchronously during face-to-face or online interactions, and we work asynchronously through postings that extend a conversation as long as the formal learning opportunity is underway and participants are willingly engaged. What we are seeing as we more engagingly explore online learning in general and, more specifically, through a well-designed massive open online course (MOOC) like #etmooc, the Educational Technology and Media MOOC that Alec Couros and others are currently offering through March 2013, is that this connectivist learning process is far from linear—rhizomatic is one of the terms we’ve been using extensively throughout the course. We are also seeing that our learning process does not have to be limited to exchanges with learners and others who are participating within the formal linear timeframe suggested by a course such as #etmooc that officially begins in January 2013 and formally concludes at the end of March 2013. And that’s where we find ourselves on relatively new time turf. What now is happening is that conversations can be comprised of those wonderfully synchronous, in-the-moment exchanges that are most familiar to us; those asynchronous exchanges that extend the “moment” to an hour, day, week, or semester-long period that formally defines a course; and those unexpected moments of participation by people not currently enrolled in a course, but drawn into a current extended moment of conversation by having their previously-posted work become part of a current conversation. The seeds for viewing learning time in this unorthodox way were planted before I joined #etmooc at the beginning of February 2013. While facilitating two offerings of the online Social Media Basics course I have developed with colleagues at ALA Editions, I saw that learners from the first four-week offering (completed in June 2012) were beginning to interact with learners from the second offering (completed in early February 2013) via the private Facebook group I had established for any interested participant. Some of these interactions took place during live office hours held within the Facebook space in January and February 2013. Some of the interactions took place via asynchronous postings between members of the first and second groups of learners. But most intriguingly, some of the interactions involved learners in group two going back to read postings completed when the first offering was in session—then incorporating aspects of those earlier (past-tense) comments into present-tense conversations that clearly have the potential to extend into future conversations when the next group of learners join the group (and the extended conversation) as the course reaches a third group of learners in July 2013 (or “reached” a third group if you’re reading this after July 2013). 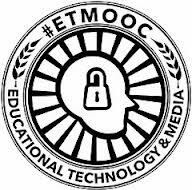 The same backward-forward extension of conversation has crept into #etmooc. Ideas initiated in one setting, e.g., through a blog posting, extend into other platforms, e.g., within the course Google+ community. Cross-pollination and cross-time postings then occur via additional conversation within the context of a blog posting that may have been completed a day, week, or month earlier—but that remains very much in the moment through new postings within the context established within that initial post. Where this becomes most fascinating and most worth noting is when the asynchronous postings attached to a specific blog posting then lead us to postings completed long before the current course was even in the planning stages—and those earlier postings are drawn into the current moment, as happened recently in an exchange a MOOCmate and I were having. This becomes a bit tricky, so let’s take it step by step to bring a little order to the learning chaos this so obviously creates. I posted “Synchronous Sessions, Asynchronously: Blending Meetings, Learning, and Digital Literacy” on February 20, 2013. A couple of #etmooc colleagues transformed the piece into an extended conversation by adding comments that are continuing to be attached to that February 2013 posting as I write this piece a few weeks later. The conversation also is growing rhizomatically through extensions via Twitter, Google+, and the follow-up blog posting you are currently reading—which makes me realize that we not only have an organically-growing example of what we are discussing, but a conversation that will benefit from a rudimentary level of curation. (I’m providing that curation in the form of “see-also” references added at the bottom of the various postings within my own blog so anyone joining one part of the conversation can easily find and follow those rhizomatic roots and shoots in the form of the other postings). Perhaps, by this time, your head is spinning beyond the boundaries of time and space; mine certainly is. But there’s no denying that what Ihanainen and Moravec explore in their thought-provoking article—and what many of us are experiencing in online venues ranging from live Twitter chats (that extend beyond the synchronous sessions via retweets appended with follow-up comments) to those Social Media Basics interactions that now include conversations that have extended over a half-year period and will undoubtedly take on extended life through an even longer “moment” when the course is offered again later this year—extends the challenges. And the possibilities. Which provides us with another wicked problem: how our traditional concepts of formal learning are adapting to learning in timeframes that increasingly include extremely extended moments without firmly established beginning and ending points. Our communities of learning are clearly one part of this evolving learning landscape, and we may need to acknowledge that we haven’t yet defined or developed some of the other key pieces of this particular learning jigsaw puzzle. N.B. : This is the twenty-first in a series of posts responding to the assignments and explorations fostered through #etmooc. This entry was posted on Thursday, March 14th, 2013 at 2:32 pm and is filed under e-learning, etmooc, technology. You can follow any responses to this entry through the RSS 2.0 feed. You can leave a response, or trackback from your own site. The mess and interplay of your postings and interactions described in your blog entry above works as an excellent example for what we tried to explicate in our (me and Moravec) pointillist … article. You did put it really nicely. Times issue should be developed further, but so far it has been in a quiet water phase, and in a way included in simultaneity reflections of time, space and presence layers (confluence, coexistence and pervasiveness) inside PoS (https://sites.google.com/site/pedaofsim/). The balancing and interchange of formal and informal learning (and pedagogy) comes as one of key challenges for our societies when mobile devices (and ecosystems) begin to be part of our everyday life. The point is how educational institutes, public organizations and business companies and structures intertwined in them adapt themselves to that learning which just happens informally and serendipitously (as it has done forever). One approach to this is available in my reflections here (https://docs.google.com/file/d/0BzzYMf_U_R2uQ3NLMDBsZVQ0ZUE/edit?usp=sharing). 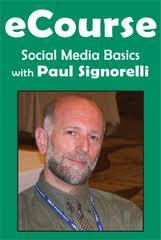 Paul, it would be great to see three dimensional mapping of the ideas you are describing. We’re talking about a dimension of time, where learning accumulates as we spend more time reading, reflecting, acting, sharing, etc. As we do more sharing via blogs, social media, web sites, the library of ideas grows to an overwhelming size. As time goes forward the ideas we’ve shared in the past are still available, and still of value, if learners are reminded of them in many of the ways you have described. We’re also talking of a dimension of geography, where learners are from many different places. And a dimension of interest, where the focus of our learning differs. Because adults with full time jobs and family responsibilities have so few hours to spend in on-line learning or face to face events, I feel there is a great need to create “attachments” or “bonding” that keeps people engaged with a topic for many years so that their knowledge, network, empathy and willingness to action grows. However, if we think of another dimension, the time line from elementary school to old age, I think we need to look for ways to include social/environmental information in the learning young people do as they go through formal learning before entering the workforce. Young people could spend a lot more time in this massive knowledge library as they go from first grade on through high school, vocational school and/or college than most adults will. Those young people who grow up in the type of learning environment the ETMOOC suggests could hit their adult lives with much more practice, habit and motivation for this type learning, as well as with a much deeper understanding of information available from the past and of information being added in the present and future. Thank you for summarizing this all so nicely, Paul. I was just going along in this form of learning in ETMOOC without really thinking about how interesting it is when compared to “traditional” forms of education (in the sense of being more synchronous, limited to a particular period of time) until your first blog post on this subject made me reflect on it. What’s interesting to me is that it just kind of worked naturally–I just managed to move back and forth between platforms, synchronous and asynchronous conversations, returning hours, days, weeks later to a conversation and feeling like I could put myself back in the moment pretty easily. It should have been disorienting, perhaps, given the sort of educational system I grew up in, but it wasn’t (that’s not to say others don’t find it disorienting; I expect it is for some). To me, this points to something: I think many of us do this sort of learning all the time, in our everyday lives, both within and outside of the internet context. We have conversations that stop and restart, we want to learn things and do so in fits and starts, through different means and methods, etc. This seems to be what peeii is saying, above, about learning always having taken place informally and serendipitously. When I think about it this way, then the format of things like ETMOOC make a lot of sense. I really like, also, how the students in the later iterations of the online course you discuss above interacted with students and ideas in the earlier iterations. I think this sort of thing might happen with ds106, and I can easily see it happening with ETMOOC, if it’s offered again. I’d follow the Twitter hashtag and read some blog posts & comment, for certain!